Dr. Angelo O. Subida, Psychotherapist: Hamlet: "To Be" or "Not To Be"
Hamlet: "To Be" or "Not To Be"
Have you heard of William Shakespeare's character, Hamlet? He is known for saying "to be or not to be?" 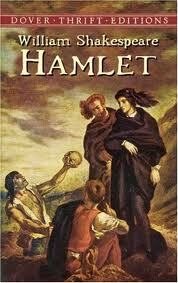 Simply, Hamlet struggles with the choice between "go on living" (to be) and "take his own life" (not to be). He despaired for life after he learned that his uncle killed his father and married his mother. The horror of realizing it was so disturbing that Hamlet contemplated suicide. * Focusing on your self does often lead to despair. * You should trust Someone beyond your self for strength to become resilient instead of overwhelmed. * You cannot undo the damage done yesterday but you can undo the damage it is doing today.